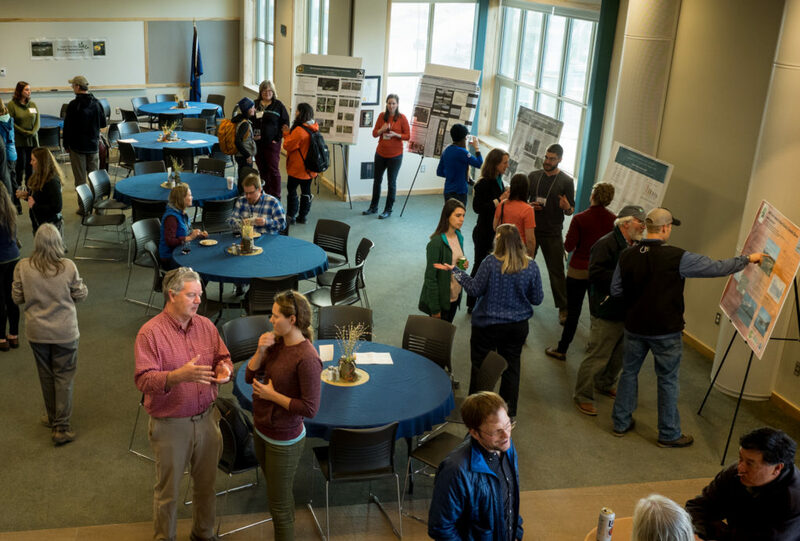 At the end of January, researchers from the Prince William Sound Science Center (PWSSC), congregated with other researchers from around the state and beyond at the Alaska Marine Science Symposium held in the Captain Cook Conference Center in Anchorage. For three full days, there were 15-minute back-to-back presentations organized by geographic region with evening poster sessions, not to mention the countless meetings and workshops that take place at or around the event. The poster sessions at AMSS, like this one at the Copper River Delta Science Symposium last year, give researchers an opportunity to share their work and network with researchers that they don’t normally get to see. Several researchers from PWSSC presented their work, and many more attended to take advantage of networking opportunities. For research assistant, Caitlin McKinstry, AMSS is not just a meeting. “It is our time as scientists to talk to each other and to network and to find out what’s going on in their neck of the woods.” Every year at AMSS, PWSSC researchers fill in information gaps that give them a clearer view of the big picture for marine environments in the state and region. It gives them tools to think about their research in new ways. For Caitlin’s third year at the symposium, she looked forward to updates from various projects that she had seen in previous years, as well as touching base with researchers who she doesn’t usually get to see. She was especially excited about presentations by other plankton researchers that are part of the Gulf Watch Alaska Program, who are doing similar plankton work in Kachemak Bay and the Gulf of Alaska. While all attendees will have an opportunity to network, a few PWSSC researchers also take advantage of the opportunity to present. In the first poster session on Monday evening, Rob Campbell presented a poster on his plankton camera and Maya Groner shared the latest from her disease work with Pacific herring. Later in the evening Kristen Gorman and Mary Anne Bishop were positioned at their poster featuring updates from their Tufted Puffin project. 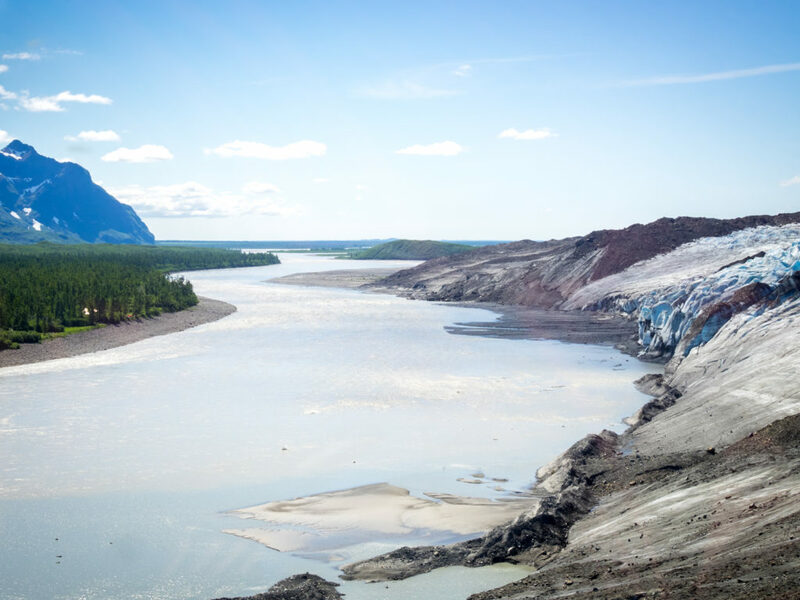 The high loss rates of ice mass in the heavily glaciated Copper River watershed has led to biogeochemical changes both upriver and down. Caitlin counts and identifies zooplankton like this pseudocalanus under the microscope in the lab at the Science Center to get an idea of the abundance of these species.